Storön was built 1975 by Gebr. Schütenstedt K.G., Bardenfleth, Germany. She was on 10880 DWT. She was 143,3m long and 18,6m wide. 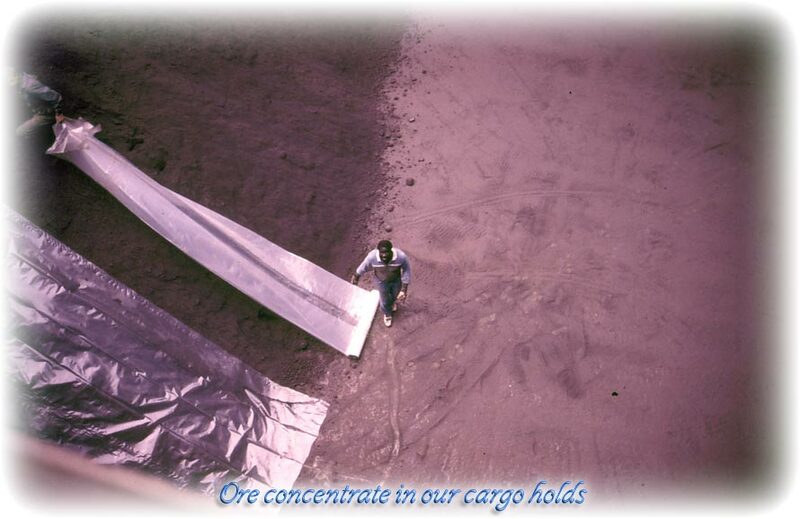 Capacity of hold, bale 15,204m³ divided in to 3 cargo holds. She could take 2848 ton ballast and 713 ton bunker. 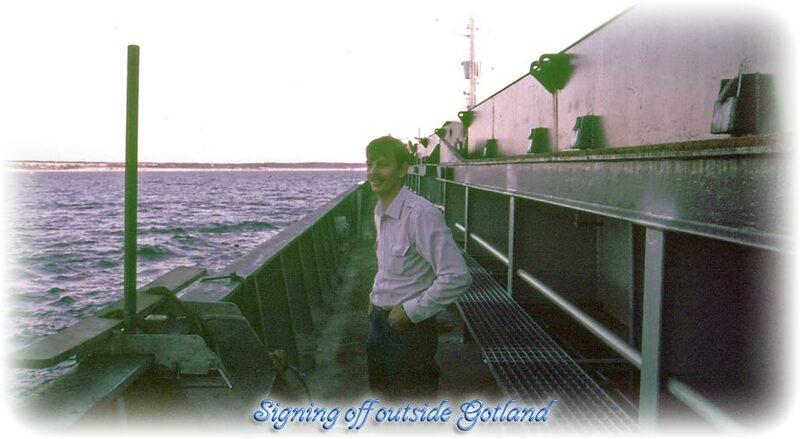 Wednesday 8th of July 1987 and I signed on Storön in Helsingborg 8th of July 1987 as AB. 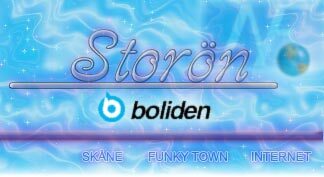 They called me from the jobcentre and asked if I could sign on Storön. 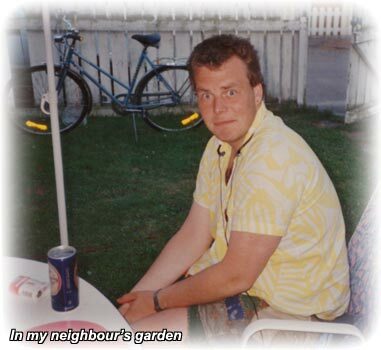 I really didn't want to go, summer time and every day was a party in Båstad. But after some nagging I said OK. So I packed my bag and I took the train from Båstad to Helsingborg. I arrived to Kopparverkshamnen in Helsingborg in the afternoon. Kopparverkshamnen is Boliden's port in Helsingborg. 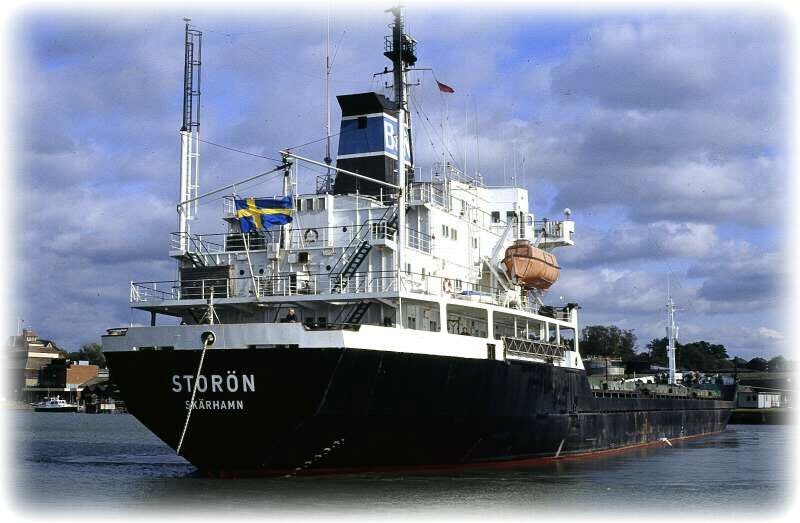 Storön was chartered by Boliden or Boliden Intercargo and they were mostly transporting ore concentrate from Rönnskärsverken in Skelleftehamn to Helsingborg. When I arrived to Helsingborg I got the good news. No discharging during the night. You can imagine how happy I was to receive this news. I could go back home for one more night in Båstad. 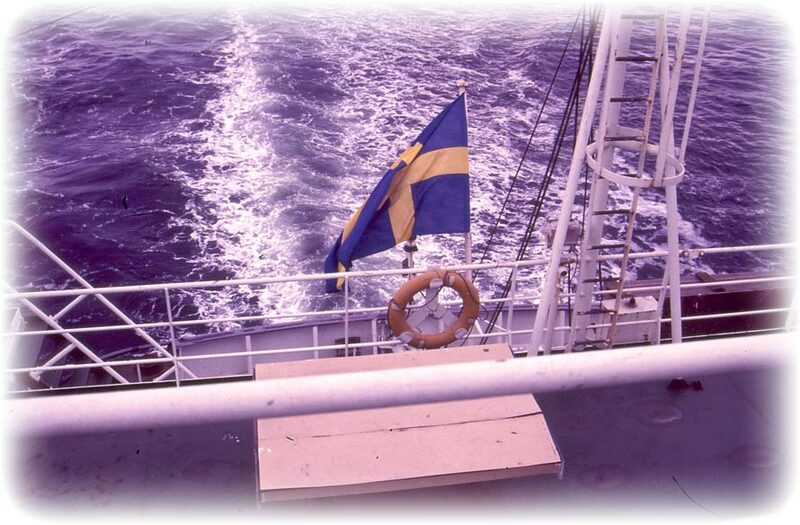 I had not been so keen on leaving the “Summer Night Life Extravaganza” in Båstad behind just to join a ship. Well, one thing was for sure, I wasn't going to spend a nice summer night on the ship in Helsingborg looking at the bulkheads in my cabin. A taxi to Helsingborg's train station and from there I took the cho-cho train back to Båstad. It was maybe 1 and a half to two hours with train from Helsingborg and Båstad. When I came home my neightbours were surprised to see me. - Didn't you leave a few hours ago.? - We got one night extra in Helsingborg. 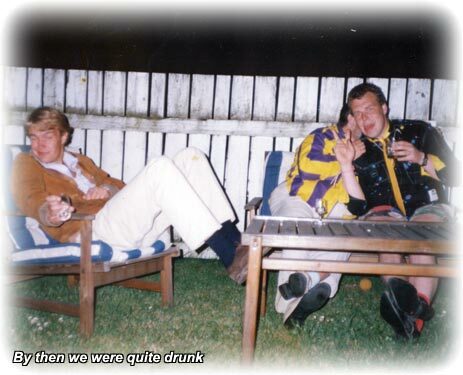 They were sitting in the garden drinking beer so I joined them. My neighbour’s mother and my Grandfather were sitting there as well so it was quite quiet until they left. Yes, my neighbours. Before I moved in the neighbour across the street from me had always been complaining that they were playing music. If I remember it right one of them was playing guitar so he used to crank up the amplifier to full when he came home drunk in the middle of the night. I don't know if he was any good at the guitar, but never mind, good or not. The neighbour came running from across the street screaming and shouting. But those days were gone, now he was crossing the street to knock on my door every now and then complaining about the music. 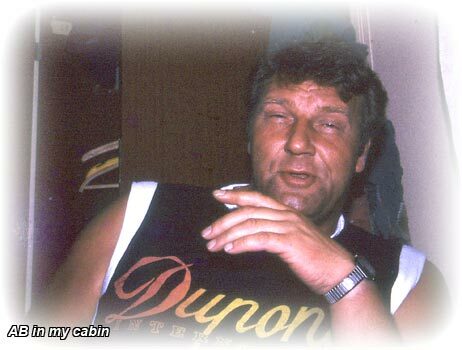 Thursday 9th of July 1987 and I took a taxi back to M/S Storön in Helsingborg we started to work at 8 o'clock and I can't say that I had a hangover even though I had not got any sleep to talk about. Maybe a wee bit tired, but what the Yoo! 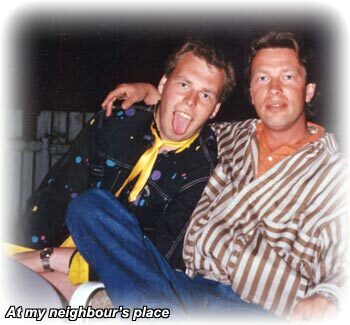 We had a good time in Båstad and I was only 20 years old. Mostly we transported ore concentrate from Rönnskärsverken at Skeleftehamn to Helsingborg. Storön were chartered by Boliden and both Rönnskärsverken & Kopparverket in Helsingborg was owned by Boliden. We loaded in Norway as well. 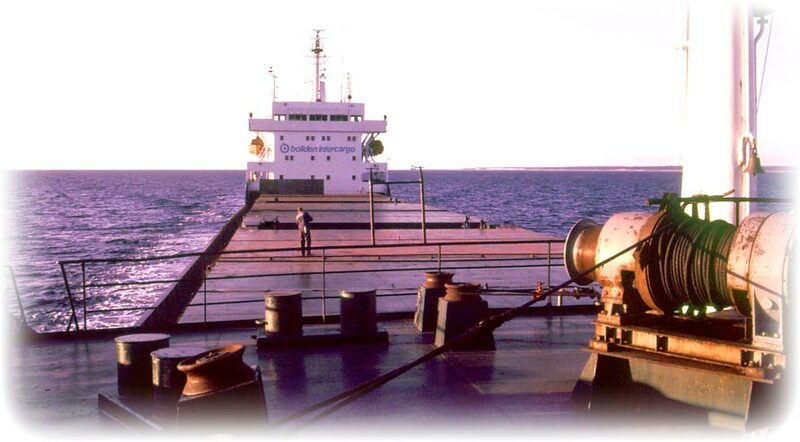 I have been loading Sulphuric acid both in Odda, Norway and in Rönnskär so I think Sulphuric acid is a rest product when they are doing the ore concentrate. 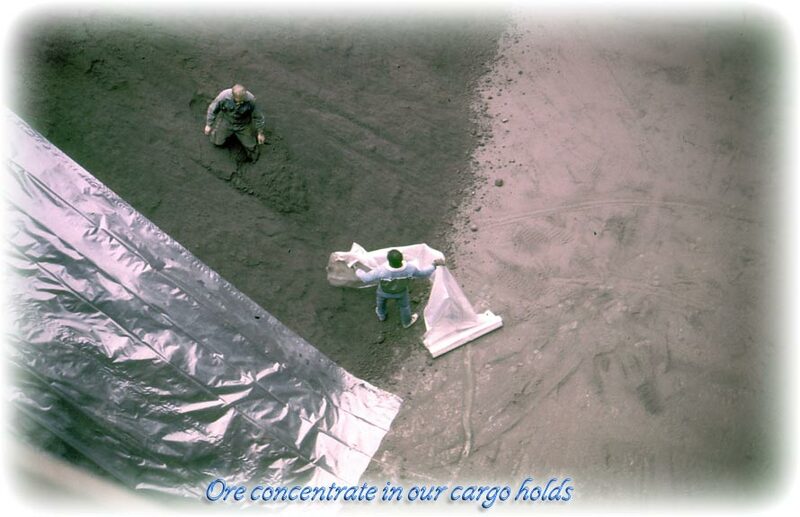 Fine-grained ore concentrate is made from ore and it's used in melting plant to make steel. 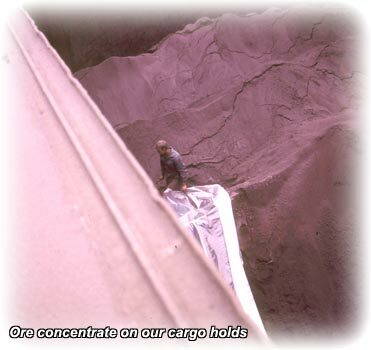 Ore concentrate is a very dangerous cargo to load if it's wet. Then it's like filling up the cargo hold with water. 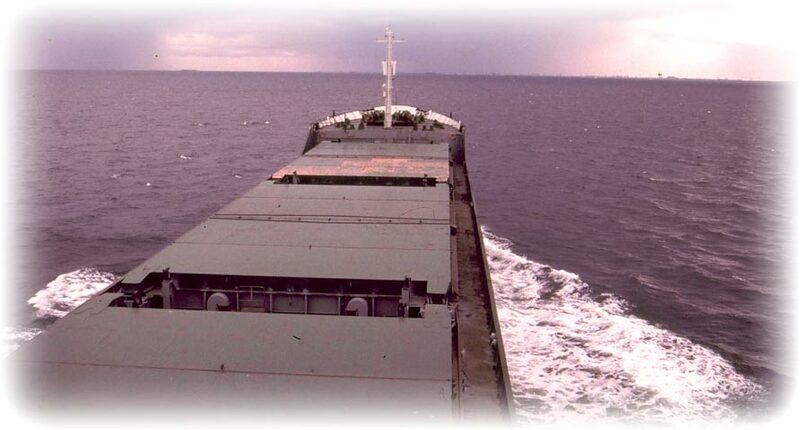 Then the cargo can shift and cause the ship to capsize. 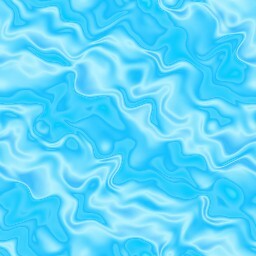 I will not go in to details over free water surface effect on a ship. But you can do and experiment at home. Fill a bottle to 50% with water. It's easy to balance the bottle without setting the water in to motion. Now you can fill up a big baking-try with water and walk around your kitchen. Not easy to walk around without putting the water in to motion and spill the water. Well, you don't need too much imagination to understand what can happen to a ship with cargo hold half full of water. Very dangerous as you understand, especially after my pedagogic explanation. As you guessed the ore concentrate is very heavy and we can only put a little in the bottom of the hold before reaching the loading line i.e. full cargo. 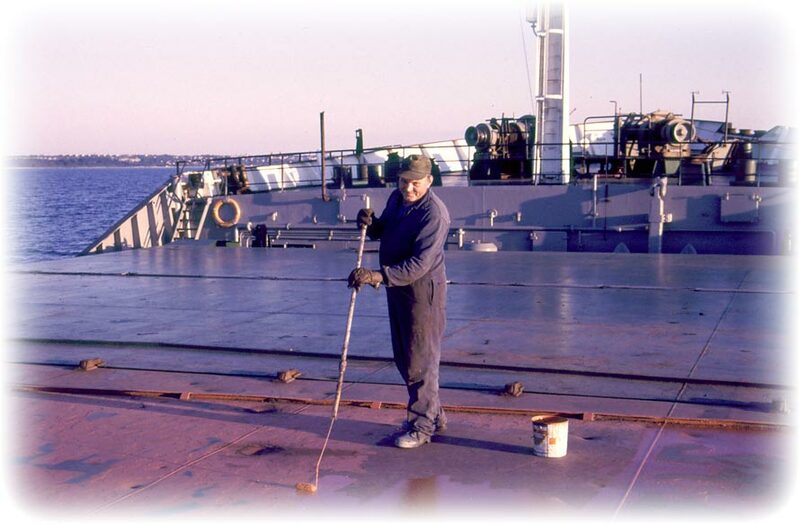 With all that weight in the bottom of the ship she rolls terrible when we have the sea coming from the sides. It's like one of those boxing dolls with a weight in the bottom. It rises after every punch no matter how hard you punch. If the weight was allowed to move like water it would have moved to the head while lying down and the doll had been down. 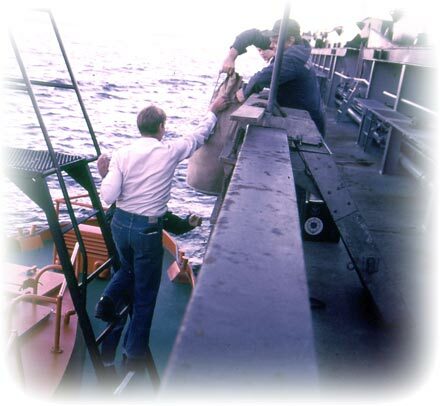 Well, that's another example of the danger with free water surfaces on a ship. Now we had enough off this educational stuff. You can always read a book. 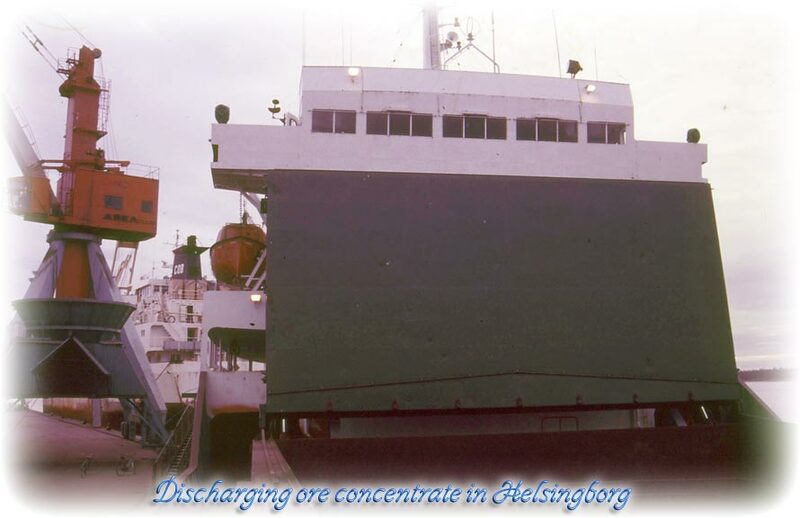 Most of the time we took ore concentrates from Skelleftehamn to Helsingborg. 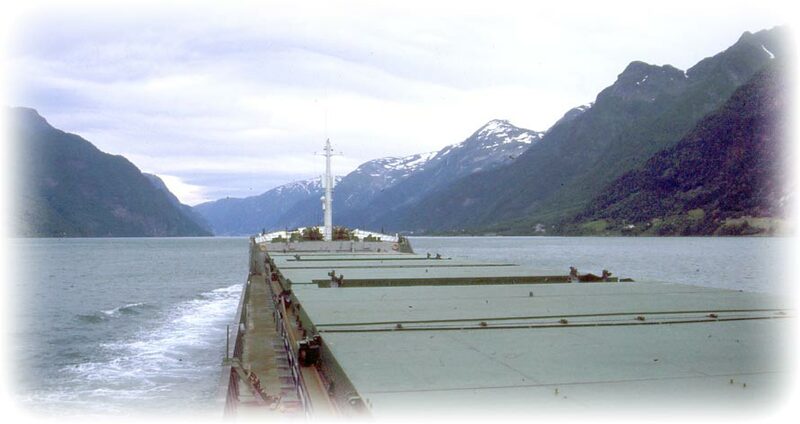 But I remember that we discharged ore concentrate in Odda, Norway as well. I think we had loaded the ore concentrate in Antwerp. Coming up to Norway is nice in the summer. 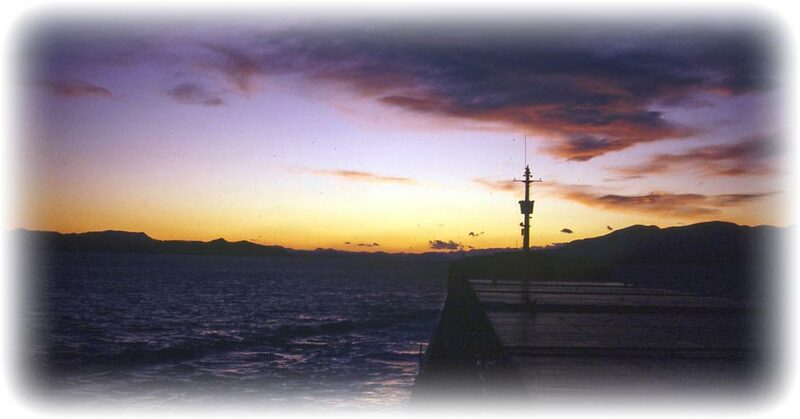 It's very beautiful to come on to the Fjords. Of course, in the winter it’s a totally different story. 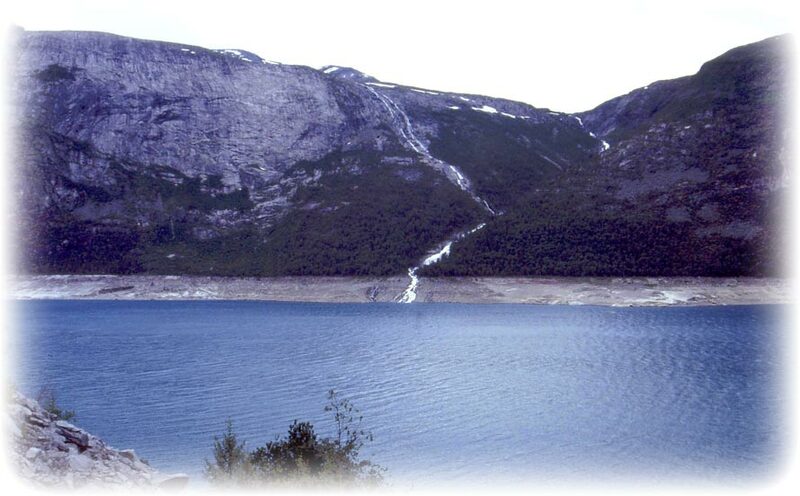 Odda is situated in the middle of Norway at the end of Hardangerfjorden Sørfjorden. We had to go up Sømlafjorden and then Sildefjorden. 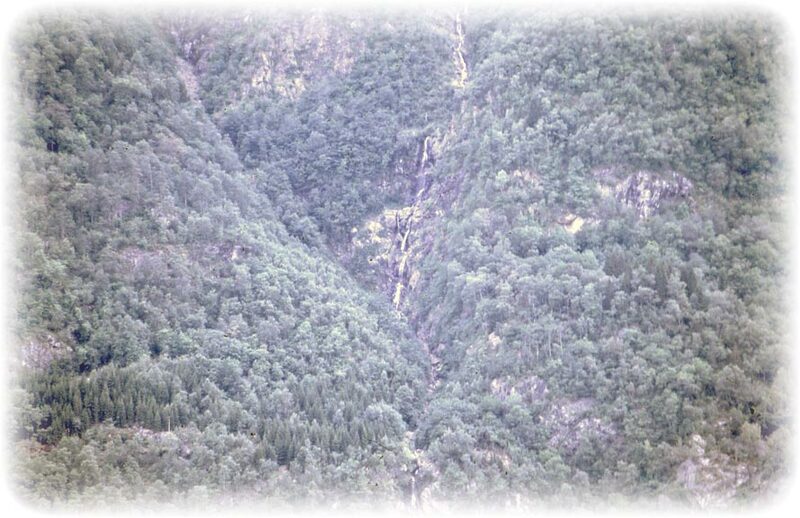 Sørfjorden stretches from north to south just west of Hardangervidda, a mountain plateau with an average height of 1200m. 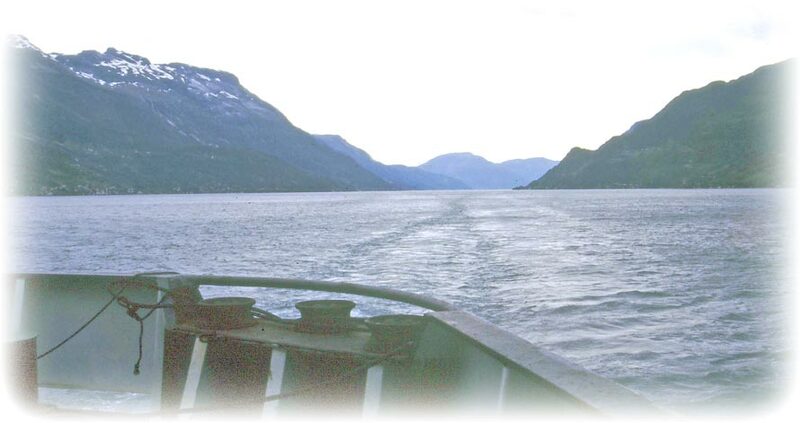 These fjords are called Hardangerfjorden and are world famous for the beautiful sceneries. Plenty cruise ships during the summer. Hardangerfjorden is the 2nd largest in Norway and stretches 180km. Maximum depth is 908m. We had nice weather (well, it was not raining even though it was gloomy and grey. That's considered good weather in Norway) so on the way to Odda and we could enjoy the sights and we didn't have to pay for any expensive cruise tickets to see the views. 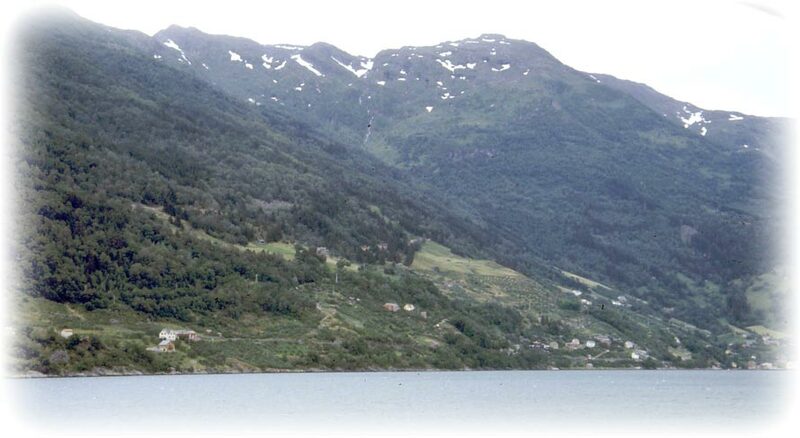 We arrived to Odda in the evening, I think it was Saturday because we didn't start to load until the Monday morning. So we went ashore to check out the local night life, SATURDAY NIGH! PARTY!! YIPPEE!!! But man!! Big disappointment. There was 1 pub in the village and they closed very early. Well, what to do? Nothing and we returned to the ship. There were a few Norwegian girls that thought that a couple of exotic Swedish sailors were the most exciting that had happened in Odda the last 100 years. And after our survey of the night life (Saturday night) I didn't found it hard to believe them. I would have gone crazy living on a place like that, exactly nothing to do. I remember that the 2 of the girls knew Televinken and Anita, always something. Sunday and the Stevedores were home lolling in bed so no work for us. 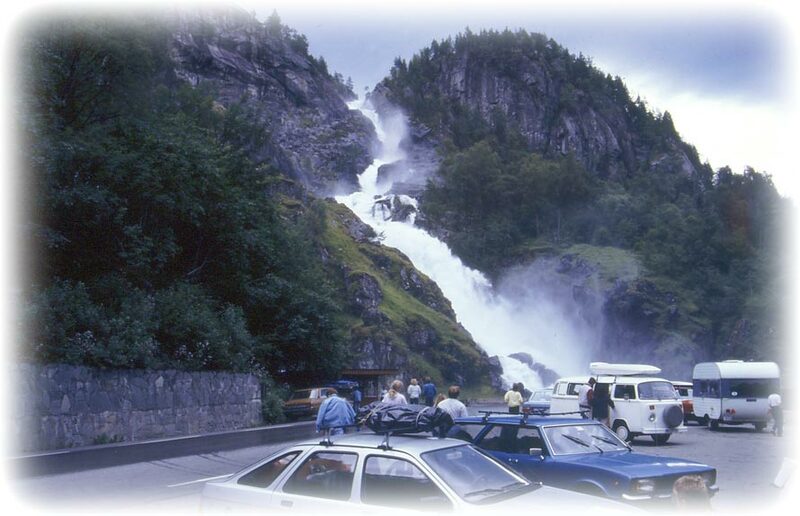 Captain ordered a minibus for us and we spent the Sunday driving around Odda looking at the sights. Of course, it was very beautiful. 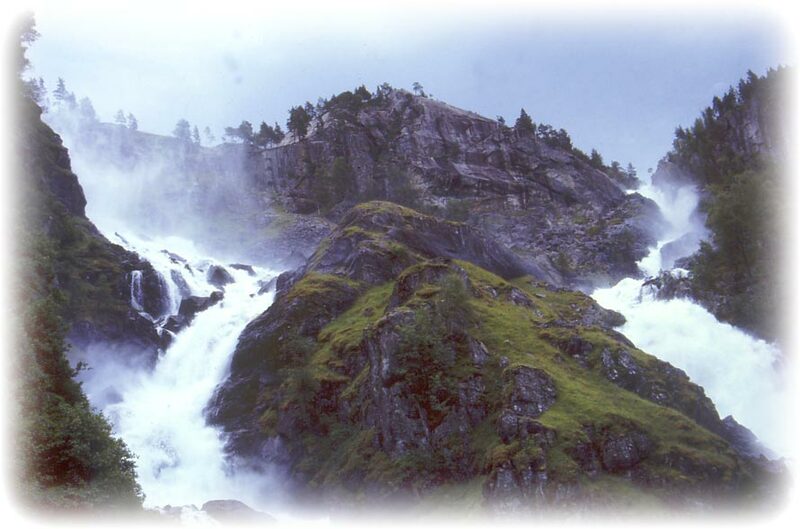 There was some famous waterfall close to Odda and we went there with the bus. When we arrive the parking lot was full off caravans and cars. And all the tourist was all over the road taking pictures. Thus water fall was famous for something, but I don't remember what. Maybe the only waterfall in the world next to a road. What do I know? We drove up the mountains, I think to see some power station or something the Germans had built during the Second World War 2. We also saw some NOT SO NICE thing as you can see on the left hand picture. They didn't make any postcard of that picture. 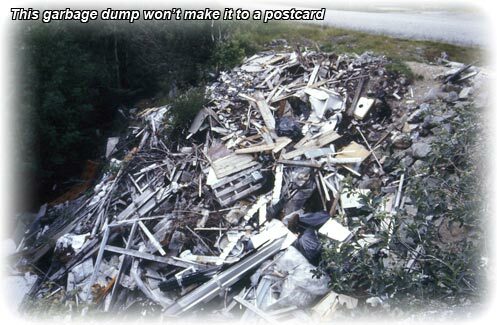 But it's strange that people just destroy the nature by dumping garbage right on the road side. We left Odda and I can't say that I was sad to leave this place behind. even though we had had a nice tour in the Norwegian mountains. 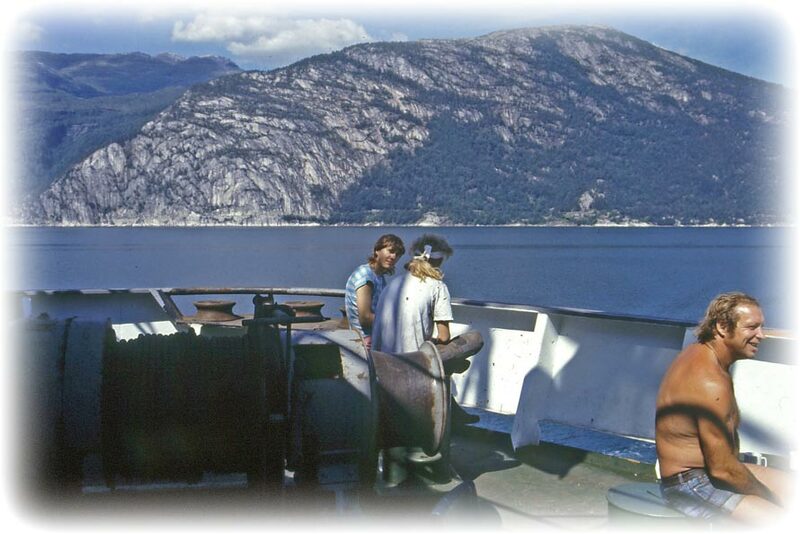 And I remember, I think it was the Chief Engineer and he asked me if I was impressed by the mountains. - You're not used to mountains in Skåne. - Well, Kullaberg and Hallandsåsen are bigger than anything you have in Bohuslän. - Hmm, you're actually right. I don't know where we went from Odda, I think it was Antwerp. But I'm not sure. 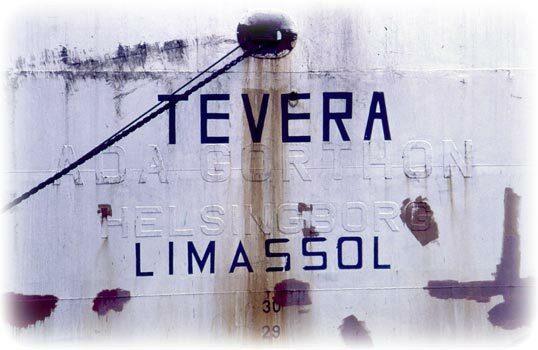 If I remember it right we only visited 4 ports during my time onboard, Odda, Antwerp, Helsingborg and Rönnskär. 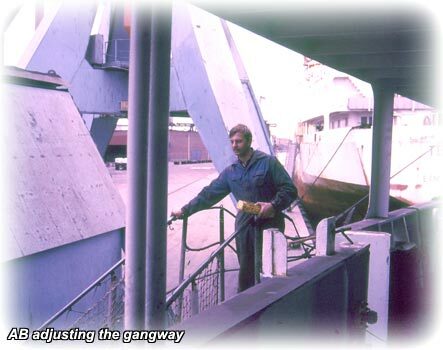 I remember that we were in Antwerp one time and I wanted to go ashore. But they loaded so quick so there was no time. Hmm, but I'm not quite sure about that. Because I remember one time in Antwerp, I'm not sure what ship it was. It might have been Storön and the more I think about it the more convinced I am that it was actually on Storön. 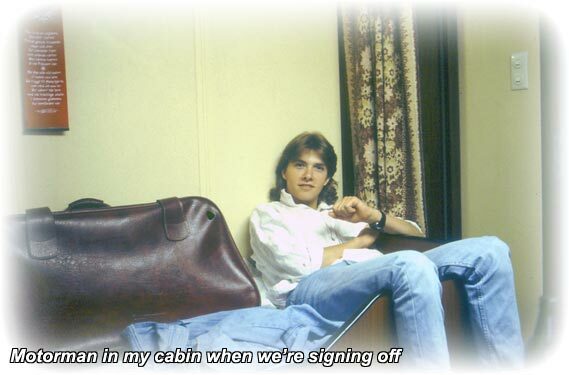 We left Sunday morning and I had no hangover, but it was nice when we were out of the lock and I could go back to bed. Might have been due to a late night in Antwerp. 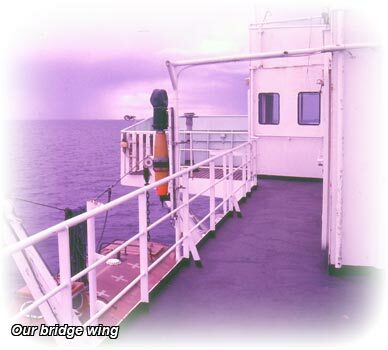 I had a good time onboard, except when we had the sea coming from the side. It was terrible how the ship was rolling and it didn't take any big waves. Everything onboard was flying around and it was impossible to sit down or to do anything else. We were very lucky with the weather and I can only remember one time with heavy rolling. We came from Rönnskär and passed south of Skåne with head wind. 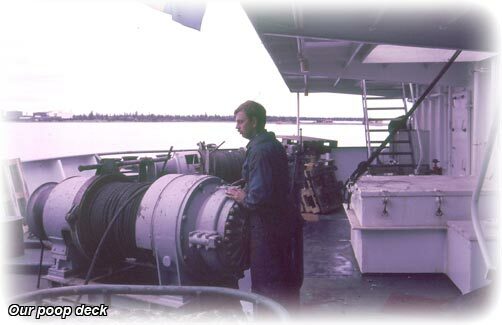 When we changed course to North at Falsterborev we got the sea from the side and she started to roll. It was the worst rolling I had ever experienced. And this was in Öresund so it was not any big waves coming. I can imagine the North Sea in the winter, it would have been impossible. Well, this was summer and we didn't ran in to any storm. 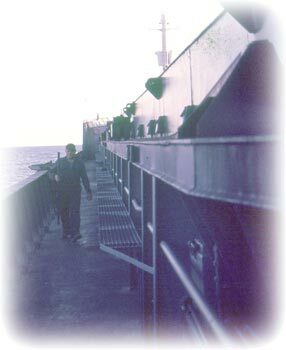 I spent years scanning my pictures from the ship. 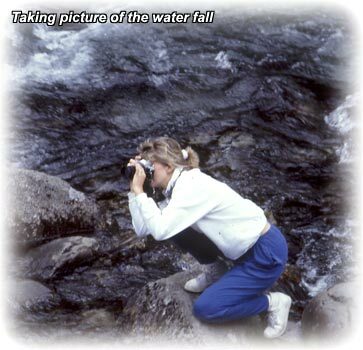 I must have scanned, well, more than 5000 slides and hundreds of paper photos. Slides, two at the time. SSSSSSSSSSSSSSSSSSSS, krrrrrrrrrrrrrrrr and I had scanned two pictures. 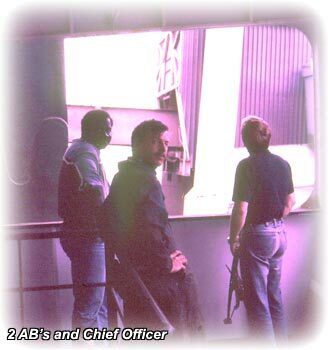 Then I had to take out the special frame I had to hold the slides while scanning them. When the slides were ready I had to load 2 more and then it was SSSSSSSSSSSSSSSSSSSS, krrrrrrrrrrrrrrrr again and, well it was not fun. I think I scanned my last picture 2007 or 2008. And I must have started in 2002 or 3. So it took a few years. And what a disappointment, after 20 to 25 years in a box the quality of the pictures left a lot to wish for. Hell, even when they were freshly taken the quality left a lot to wish for. I took a lot of pictures and poor quality is better than nothing. Well, anyway, when I finished the pictures for each ship I made a web page for each ship and it was not as much writing as it was notes for future references because the plan was to do it properly when I had the time. 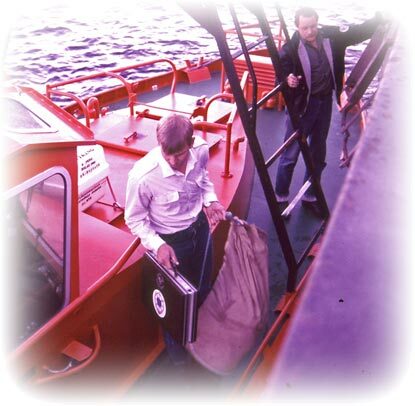 When I was writing this the first time I was convinced that I had signed off in Simrishamn with the Search and Rescue boat. 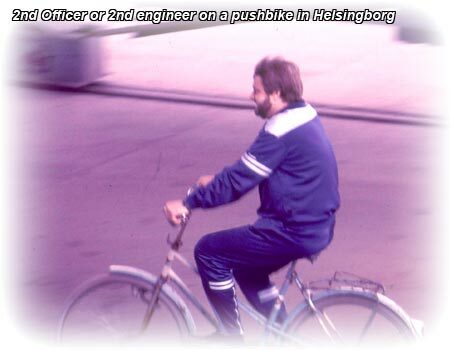 But why would we sign off in Simrishamn if we were bound for Helsingborg? I really don't know, so I'm not sure where I signed off the ship. 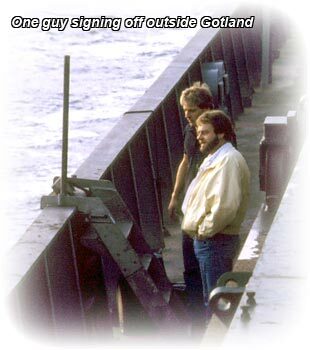 But I have pictures of two guys signing off outside Gotland. We used the service from Visby Pilots so they came out to pick up the crew members when it was time to sign off.